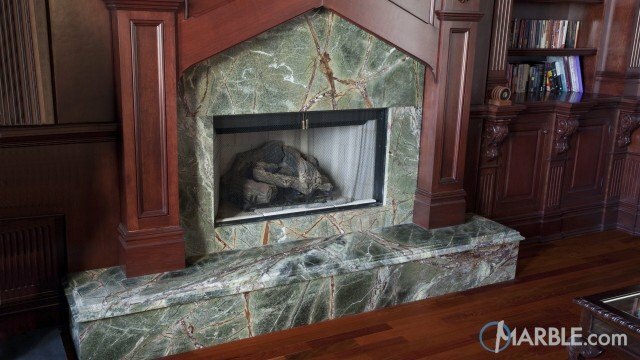 Rainforest Green is an elegant, glossy Indian marble. It has unique traits of earthy green tones with deep brown veining that mimics tree branches. It adds splendor to any bathroom, fireplace, and floor.